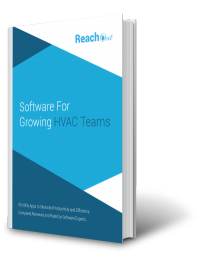 We are excited to let you know about the new feature activated in ReachOut Suite this month. As you are aware by now, we are regularly improving and adding new features to ReachOut Suite on a frequent basis. 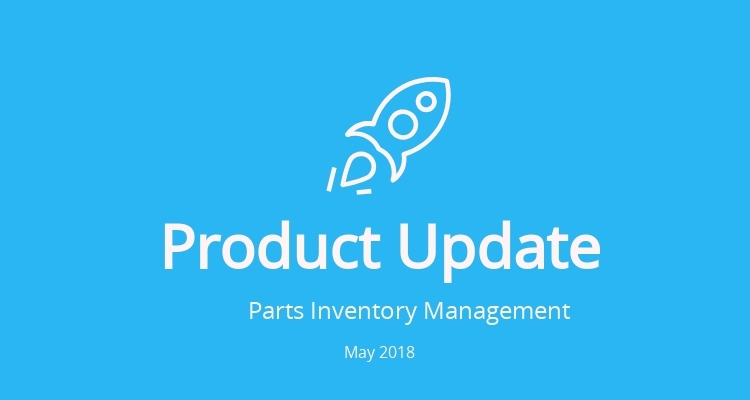 Now managing your inventory parts has become easier. 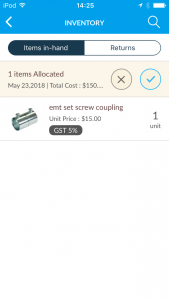 The parts inventory management facilitates control and management of parts used by your field agent to complete their respective work order or inspection. You can now manage your spare parts, add stocks and allocate parts to field agents in ReachOut Suite. This feature is enabled by default for all users that will facilitate both the administrator and the field agent to manage parts inventory. You can opt out of this feature under Settings > Preferences > Field agent inventory. You will need to get in touch with support team if you need to re-enable this feature in future. 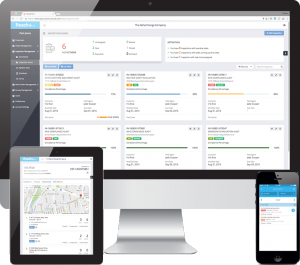 The field agents can manage their own personal inventory through the mobile app. There is a ‘parts inventory’ option listed on the main menu. Under, parts inventory, there is ‘parts list’, ‘allocation returns’ and ‘my inventory’. In ‘parts list’, one can add parts manually by entering the list details or import from a .CSV file. 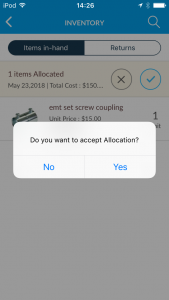 From Parts Inventory > Allocations, you can allocate inventory by selecting the field agent and the parts. 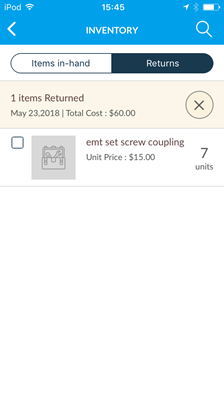 When parts are allocated, a notification is sent to the field agent on their mobile app and it would be visible in ‘my parts’ inventory. Then the agent can either accept or reject the allocation. On acceptance, parts get added to the ‘parts inventory’. 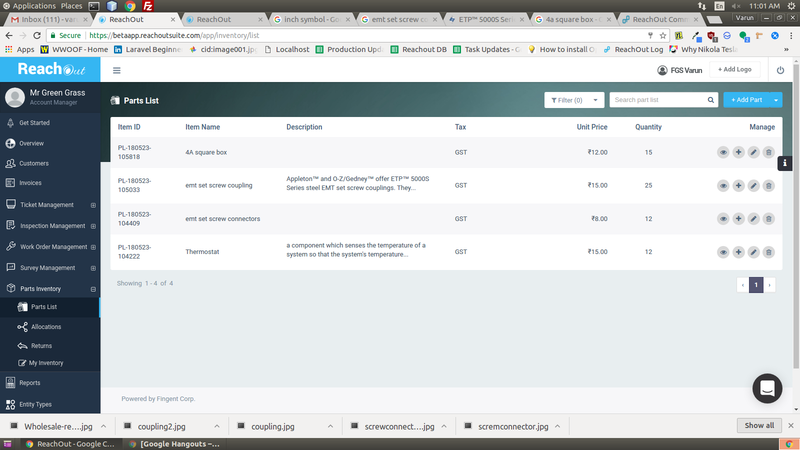 While working on the work orders the field agents can add the required parts to the invoice. After the invoice is generated, the parts count listed for particular agents reduces by the number of parts used. The inventory available with field agent will be updated on the web as well. The field agent can return the parts if there is an excess after the completion of a work order or if the inventory is defective. The administrator can accept or reject the defective or returned inventory listed under an agent. ‘My inventory’ essentially lists the items allocated to each agent. In ‘parts list’, the administrator will get a detailed view of each item. The page has four tabs – Storage, Infield, Used and Billed. ‘Storage’ tab lists the quantity of an item in the warehouse. ‘Infield’ tab specifies the quantity of items remaining with the agent. 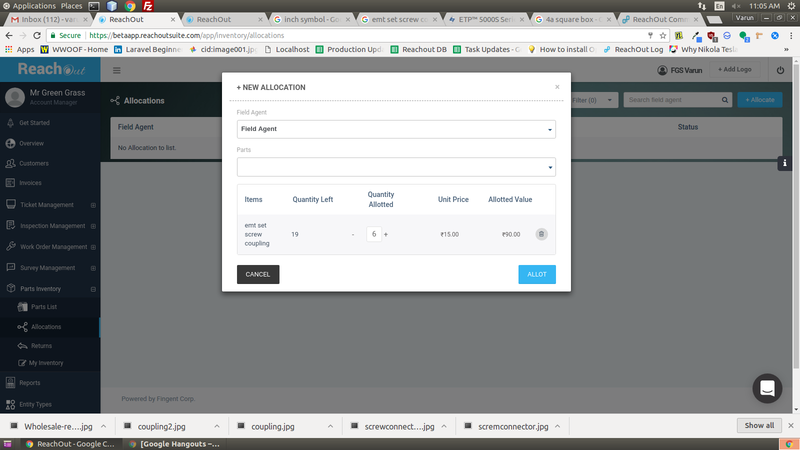 In ‘used’ and ‘billed’ tab, the inventory which is used and billed to the customer is displayed. The stock history tab displays the stock data.